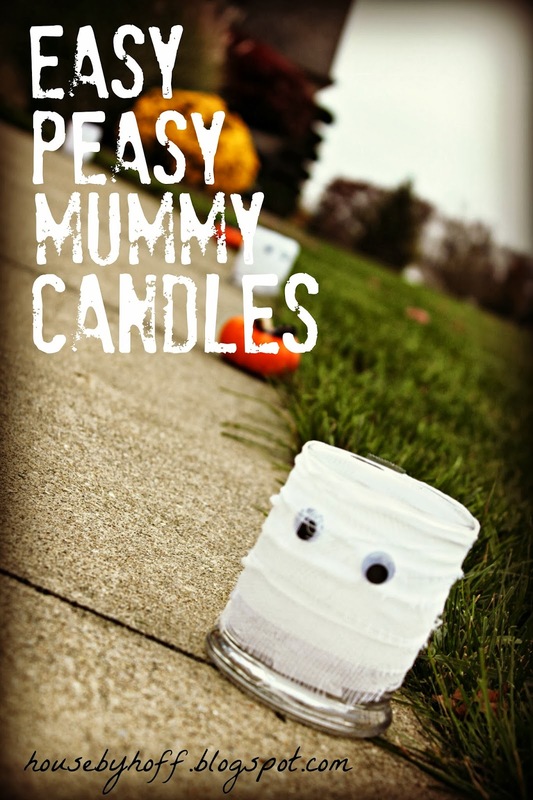 …and it doesn’t get much easier than these easy mummy candles I made last year! Click here for the full Easy Peasy Mummy Candle tutorial. I was showing my coworkers this picture the other day and nearly started bawling. 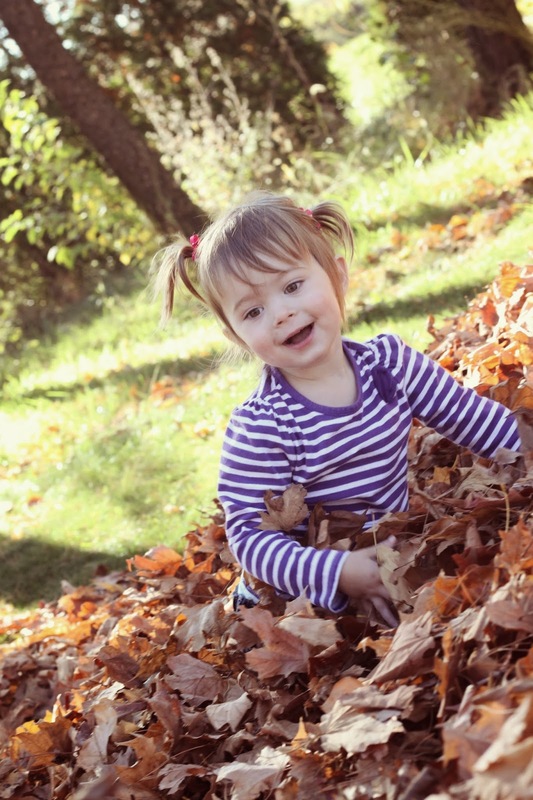 This year she can walk, talk, go #2 in the potty, sing “Wheels on the Bus”, and demand Nemo. 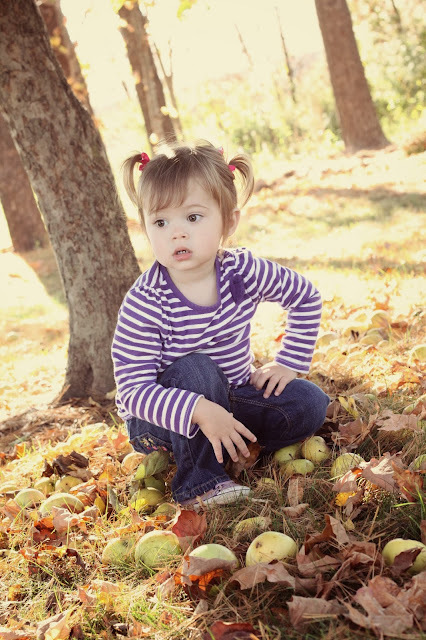 Doesn’t she look so grown up here?! 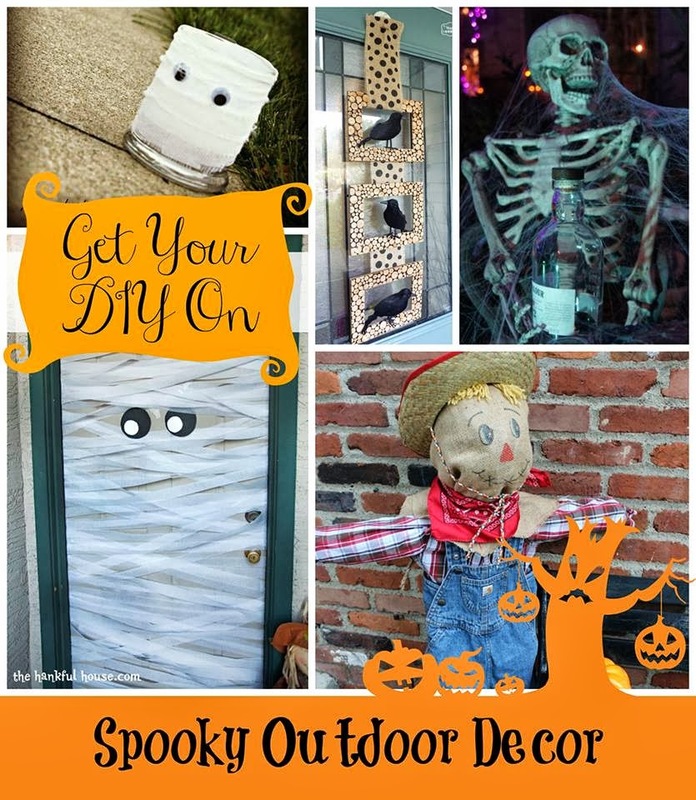 Can’t wait to see what spooky ideas you bring to the party on Sunday at 7:00 PM EST! Awww she is getting big! And so adorable too! Love your cute little mummy candles! Have a wonderful day, April! 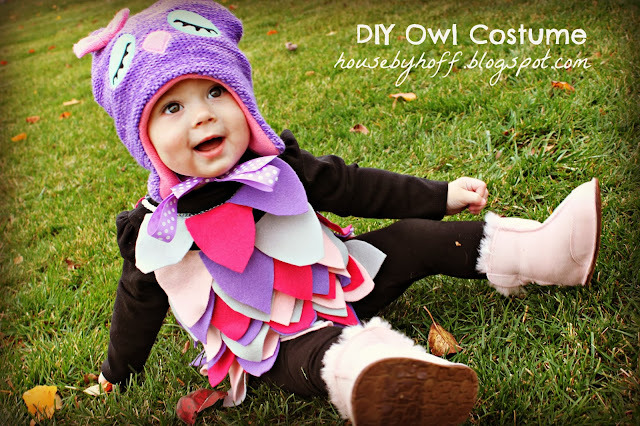 Oh my goodness that owl costume is too cute!! Sometimes I wish mine were little like that again 🙂 Sniff Sniff.